A memorable present is one that you never forget. Sometimes it is even hard not to stop thinking about it. A memorable present is a wonderful thing for everyone that something received from someone on special day. For me, a memorable present was a special thing and it was very important that I couldn't forget. I still remember when I was 18 years old. My parents surprised me on my birthday. They gave me a special gift. It was a laptop. When I saw it, I was in a very happy state with my memorable present. It was a wonderful and the best thing in my life. On 26th January, 2011, it was my birthday. In the morning, every one of my family had to go out till evening, but I didn’t know where they went. In the evening on that day they came back and in their hands carried food and 2 big boxes. The first box had a cake of 2 pounds and the second box in blue I didn’t know what there was inside. After that I and my family had dinner together at the dining room in the house. When we finished dinner my parents took a cake of 2 pounds in front of me and wished me, “Happy Birthday”. Then I embraced with a big hug to my parents and wished them too for good health. After that my parents took one box in blue to me that I suspected when I saw it first time. “This is your present in this year”, said my father happily. I looked happily at that box and I opened my gift box immediately. Then I saw one thing that I requested to my parents which they bought to me after long years. It was a special birthday present which was the most expensive present that I have ever got. It was a black Notebook. I never think to get a wonderful gift on my special day. Now, I’m sure that you want to know a description of my special present. My memorable present was a black notebook which was a very beautiful when I looked at it. My notebook was thin and light and I liked to carry it with me everywhere. It was easy to use and made me happy every time when I touched it. Brand of my notebook was Samsung and it was made in China. My parents bought it from IT Zone shop located on the 3rdfloor at Sunee Tower. Its price was 10,900 baht. Basic items of my laptop was included – a standard battery, AC Adapter and Power cable. The system specification may differ depending on the deriver models and it was a developed system for the betterment in the future. Next, I will bring you to know about how I felt when I got it. In my life I have received many gifts from my family and my friends, but I had one thing that made me always happy when I used and thought about it. It was a black laptop and I felt in love to it very much. I was very excited when I saw it at the first time. I felt glad to occupy it and it made me enjoy when I played games, listened music, watched videos and did my work on my laptop. It was cleaned by me every day. I could use it for several invaluable activities. I loved it at the first time that I saw it in the blue box. I never think to get a wonderful gift on my special day, because it was very expensive for me. I always loved and took care of it. I was impressed very much with my present on my special day. In conclusion, I would like to say that I got a memorable present from my parents on 26th January, 2011. It was my birthday when I was 18th years old. This special gift I ever requested to my parents bought it to me after long years on my birth day, now my dream comes true. Although it is passed a long time, my special present is still beautiful in my mind and it’s one of my best memories forever. I can’t forget it and I’ll take care of it like the first day that I got it. It’s very important for me and it has value in my thought and work. A black laptop is my memorable present and the best thing in my life. 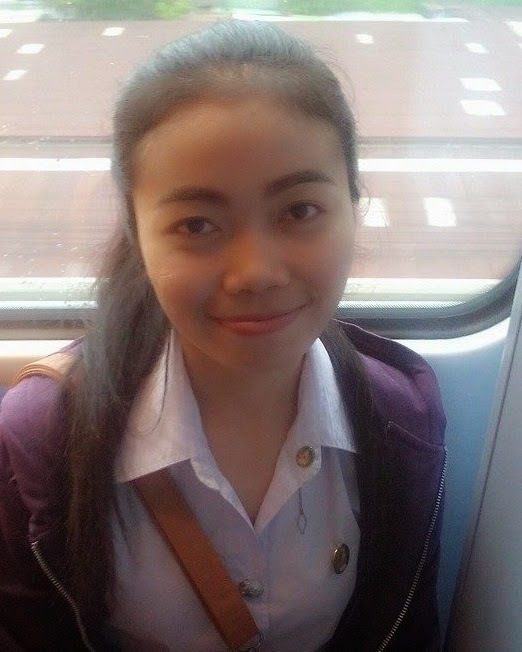 About the author: Tatiya Nadoon is studying English major in Ubon Ratchathani Rajabhat University, Thailand.